My parents picked a great tree! It's the tallest I can remember in years. This snowman celebrated the season in the downstairs hallway. 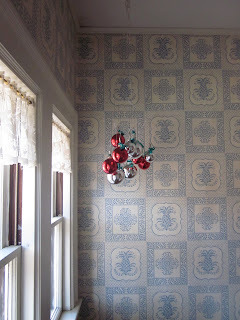 On the landing, she hung glass ornaments from a photo mobile. There were tiny glass balls brightening up the kitchen window sill. This was my favorite! Even the shelf in the bathroom was Christmasy. While I love the tree and the stockings hanging from the mantle, it's these little decorations that make me smile. They're creative and add Christmas cheer in unexpected places. 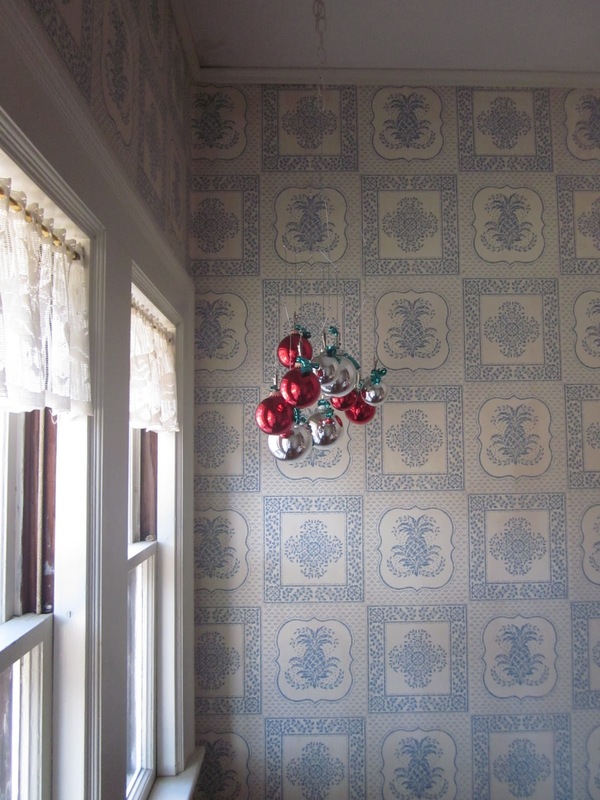 I'm not sure what else my mom planned to decorate, but the house felt wonderfully festive to me. I fully intend to steal all her ideas for my apartment next December.